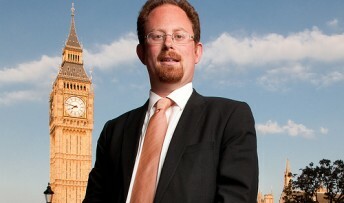 Cambridge MP Julian Huppert will vote in favour of a ban on smoking in cars carrying children today (Monday, February 10). Julian emailed people around Cambridge and asked on the social networking site Twitter asking people what they thought of a smoking ban. More than 500 people offered an opinion, and about two thirds supported the ban. “It’s very clear that people have thought carefully about this issue, and I was struck by how much people wanted to tell me,” said Julian. “Some spoke from personal experience about the problems they had suffered from second-hand smoke and all those in favour believed children should be protected from the harmful effects of smoking. “Most people who opposed the ban agreed with that view, but were concerned about enforcement. I agree with them that we should not ban smoking in homes – people have a right to smoke in their own home. “Passive smoking is incredibly harmful and we should not be subjecting children to it. No-one wants to see children hurt and they shouldn’t be put in a position where they can’t protect themselves. Cars are small places, and so the effects of smoke are higher than in a home. MPs will be offered a free vote in the House of Commons on the smoking ban today. It follows a vote in the House of Lords last month which passed an amendment to the Children and Families Bill which would grant the government the power to introduce regulations making it an offence for any person who drives a private vehicle to fail to prevent smoking in the vehicle when a child or children are present.